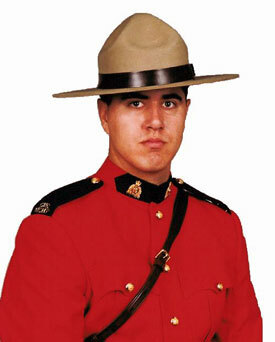 Anthony Gordon, 28, was a member of the Whitecourt Detachment of the RCMP. He was born at Edmonton, Alta., raised in Red Deer, Alta., and joined the force there. The seed to be a Mountie was planted in Grade 1 when a member of the force visited his school. "It got my wheels spinning", and that was his goal ever since. Gordon loved the outdoors and he loved to fish and snowmobile. Upon completion of training at "Depot" in Regina, Saskatchewan, on October 15, 2002, Gordon was posted to "K" Division, Alberta, at the Whitecourt Town Detachment, where he worked in General Policing and Highway Patrol.